We can help with every aspect of event promotion for your local food summit, farmers market, farm tour, or other local food event. Event marketing options include flyers, posters, Facebook events, online registration, t-shirts, and press releases. 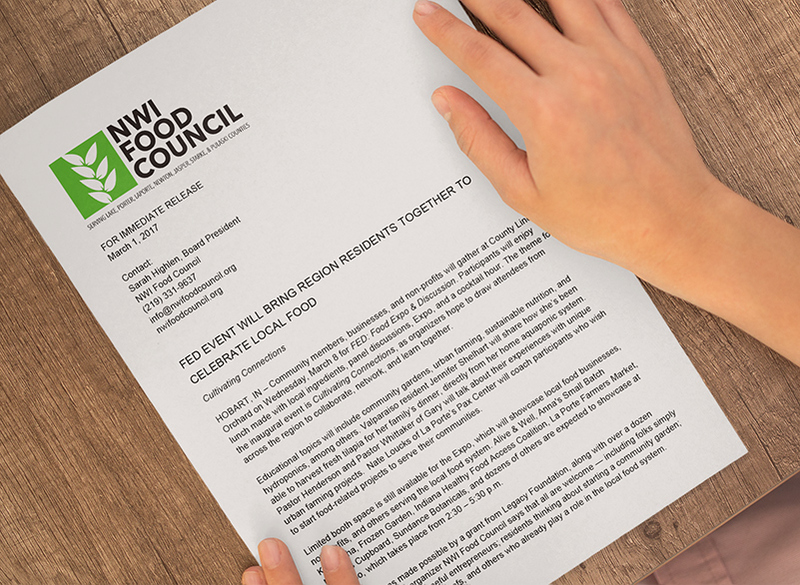 We designed the logo and t-shirts for our local food council's inaugural food summit. We also designed and wrote the advertising and web pages for the event; created the program and banners; and configured the online ticket sales and Facebook pages. 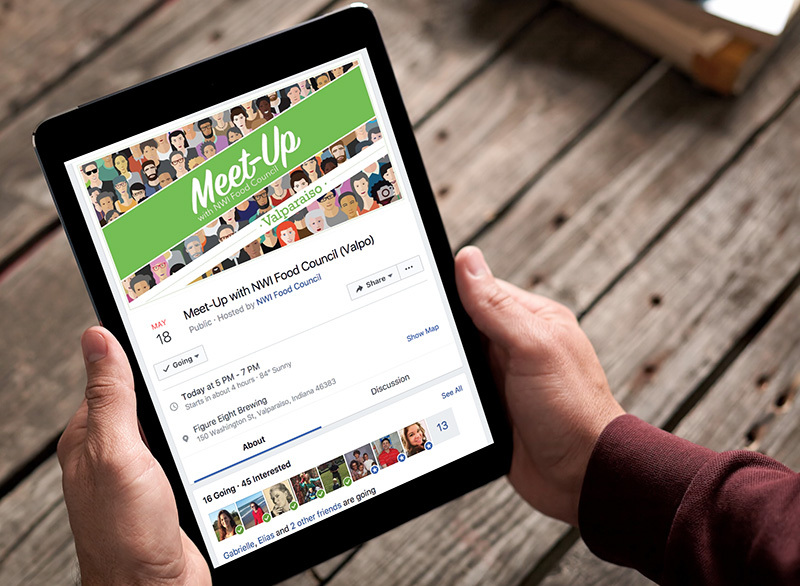 We created the look and feel for our local food council's Meet-Up series, and we used that visual theme to promote the events on the website, social media, and with flyers. We designed this poster for FED: Food Expo & Discussion, using the existing event logo along with photos we took at the previous event. We used the same, polaroid-style look and feel to create images for Eventbrite, Facebook, and t-shirts, and to design the event program. Have a farmers market, food summit, or other local food event to promote?